Pier 1 Imports had its beginnings in the early 1960's in California. The store has since expanded world-wide and carries an extensive choice of products including but not limited to accessories, fashions and home furnishings. Later, the online website www.pier1.com was established with a fresh campaign message, "Get in Touch With Your Senses." In 2012, Pier 1 Imports celebrated its 50th retailing year anniversary along with redesigning and launching their e-Commerce website wwwpier1.com with this idea in mind, "to allow their customers to shop when, how, and where they wanted to." 20% off full price use with Pier 1 Platinum Rewards Card. The website strategically place items and categories in a format that makes it easier for customers to find. The print, fonts, and graphic designs are bold enough to clearly see, and the shoppers do not have to search endlessly to find the product that they need. Everything is there to help them shop by category, find a nearby store, become familiar with the policies of the company and social media connections. They offer ideas and "how to's" for decorating, what is trending, product guide, and social inspiration. If a customer experiences difficulty with the webpage or finding a particular product, customer relation is available by phone or email. Overall, www.pier1.com is fun, it inspires, it's exciting and full of color, providing exceptional merchandise with their customers in mind. • Rewards Program. The rewards earned from the rewards card allows the cardholder to buy whatever they want. Earn one point for every $1 you spend and get a $10 reward for every 200 points you earn. Pier 1 celebrate birthdays with a special gift. In addition, offered to members-only are sneak peek and special bonus points. • Discounts. You can always find savings, special offers and coupons available at Pier1.com online shopping site in every department. They are available as limited-time savings, daily dealies, or clearance sales. Free store pickup is also available. Pier1.com is the place to find unique and different items that are one of a kind, regardless of an individual's taste. Among the many reasons why you should shop at Pier1.com, add the following three to your list. • Products. At Pier1.com, you can easily shop for outdoor or indoor furnishing for the patio or every room in your house. There are accessories for the floors and windows, bedding, walls, and lighting. Whatever holiday the season brings, Pier1.com has gifts to accommodate the occasion. Their products are top-rated, affordable, and specifically acquired for its shoppers. In today's busy world, people are looking for the most convenient and easiest ways to complete their "to do" list. With an eight-hour working schedule, picking the kids up from school, and extracurricular activities, it seems that there is never enough time to get things done. The internet has made it possible and trouble-free for many without having to fill up the gas tank, fight the traffic, or the hustle and bustle of crowded malls and stores. Now there are online stores like www.pier1.com available for consumer's shopping convenience. Are you looking coupon for pier1? 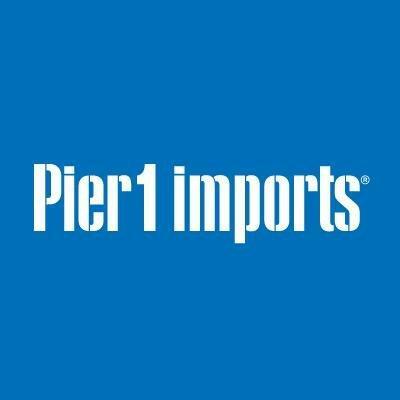 Pier 1 Imports made its debut in California in 1962. Over the years, the company has grown and now has around 1,000 stores located in North America. Originally geared towards “hippies” by selling incense and similar items, Pier 1 has evolved and now features home furnishings and other decorative items for the home. Purchasing from Pier 1 is made simple when you purchase online from www.pier1.com. Pier 1’s website has many items available and is still very easy to navigate. Different categories are listed across the top of the page. This makes finding what you are looking for simple. Each category is then divided into subcategories. When you click on a subcategory you can continue to filter your search in order to find your perfect piece, whether it is a pillow, a rug or a dresser. When you click on a product a new window opens up that shows an enlarged photograph of the item, a detailed description, dimensions and other important information. The website also generates a list of similar items you might be interested in based on your search. You can see what items on the website other customers who viewed the item looked at. If an item is available at a Pier 1 store near you, you can avoid paying shipping. Pier 1 will notify you when the item is ready to be picked up and you can head straight to the store to get the item. If the item is not in stock near you it will be shipped to your local store and you will be contacted when it arrives. This is a great option if you are able to head to the store and will save you money on shipping. Some items are available online only. While these items can’t be shipped to the store, online only items give the consumer many more options to choose from at reasonable shipping rates. If you are looking to shop for affordable and classy items for the home, www.pier1.com is a great choice. There are thousands of different items to choose from with several easy shipping options. You are bound to find something that you want on this website.